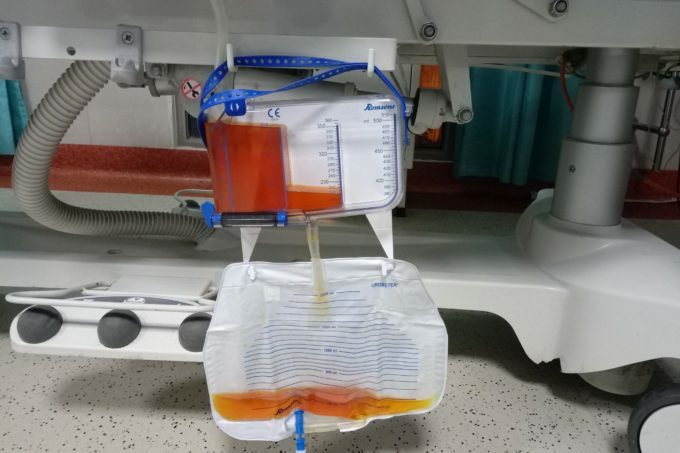 Urometer-Urine collection bag and meter used mainly for the patients with Urinary catheter for the collection of urine. The Connection tube to the Urinary catheter from the urine collection chamber to collect the urine to the Urometer. wears safety sterile gloves before opening the sterile pack. Hangs the collection bag using the hangers strap provided horizontally. Remove the safety sterile cap and connect to the urethral catheter. For sampling use the sampling port provided on the tapered connector. Drain out the urine using the bottom urine Urometer. Drain out the urine from the measured volume into the collection bag. check the urine volume periodically and drain into the collection bag and mention volume urine output on the nursing note. Single use only and not use or resterilize. between the urethral catheter and the tapered connection of the collection bag.